Car maintenance is important and we all know that. We all travel for many different reasons whether it be running errands, shopping etc. We all know that UAE is one of the countries which are rich in oil, but that oil is limited and for that reason the prices have increased. Traveling consumes a lot of fuel and fuel means consumption of money. Unfortunately, the rates of petrol and diesel have been pretty high and that limits our traveling, not fun is it? Good news for you, this month of November 2017, the rates of diesel and petrol have decreased! This probably lit up your day didn’t it? The United Arab Emirates have decided that they would bring down the rates of petrol and diesel by 4%. The international benchmark, Brent crude, tipped US$60 per barrel marking its highest around the mid of 2015. This sudden change has been inspired by Saudi Arabia’s crown prince signaling the kingdom’s support for extending OPEC production cuts at the organization’s upcoming meeting at the end of November, hearing this theory the United Arab Emirates decided to support the kingdom of Saudi Arabia. In addition, the ongoing conflict between Kurdistan and Iraq has called into question Iraq’s ability to add more oil to an already over-supplied market. This has happened for the first time in 2 years, probably after October 28 2015. Suhail Al Mazroui said that “UAE has cut up to 10 per cent of their oil exports in the last two months in accordance with the Opec agreement, energy minister” on September 25. In December last year, the Organization of the Petroleum Exporting Countries (OPEC) struck a deal to reduce output by about 1.8 million barrels a day. A lot isn’t it?! 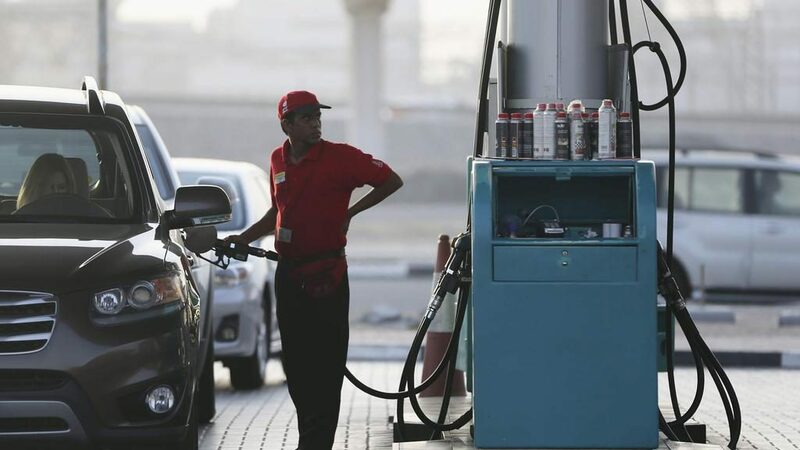 The per liter prices have been fixed for Super 98 at Dh2.03 (down from Dh2.12 in October); Special 95 at Dh1.92 (from Dh2.01 last month); E Plus-91 at Dh1.85 (down from Dh1.94 in October). Global crude oil prices, particularly Brent, have firmed up more than we expected and we are adjusting our numbers slightly higher for Q4 2017 and H1 2018. We see Brent averaging $54 this quarter and $52.50/bbl in H1 2018, compared our previous forecasts of $50 and $49.50/bbl, respectively. We also adjust WTI to average $49 this quarter, relative to our previous forecast of $47/bbl,” Bank of America Merrill Lynch said in a note. We all love hanging out and driving with our families and friends, and when holidays come, trips are for certain. Petrol and diesels sure cost a lot. It’s for certain that when you’re planning for your trip and while you set the budget you realize that most of it is for your car in the form of petrol and diesel. A help: change your oil and all the necessary fluids before you set on your trip. (If you’re going to an isolated) Oh and your tires too! So this month or the next two enjoy your trips, with less stress about your money!